Pack of ten. White version. Individual unique cards. 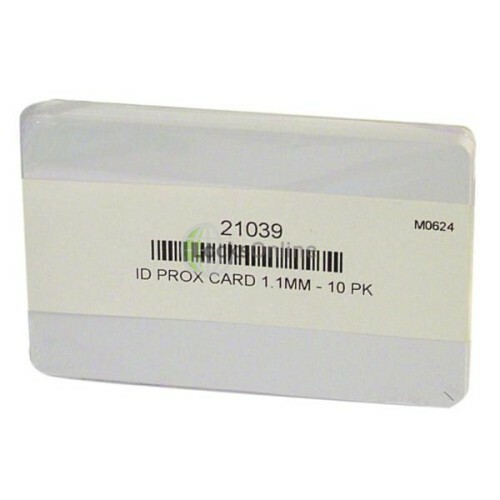 The PAC 21039 card is both strong and durable enabling digital photos and graphics to be printed directly over the front and back surfaces using an ID card printer, or via an adhesive PVC overlay with most direct image printers. Easily carried in a wallet or purse, the PAC ISO card can also be worn on clothing with a clip or neck chain through the use of a specially designed optional card holder. As an alternative to the traditional mechanical key, millions of PAC's proximity cards and to kens are used by people as an easy and reliable means of gaining access to their homes, communal entrances, places of work and other secured access points such as car park barriers and turnstiles. The PAC ISO proximity card is 'credit card' thin, ISO 7813 compliant, requires no batteries and carries a lifetime warranty. 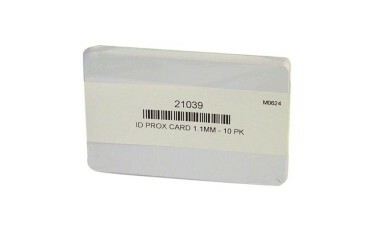 Also available with a magnetic stripe for use with other systems, this card combines the advantages of proximity, magnetic stripe and photo identification technologies on a single access control card.